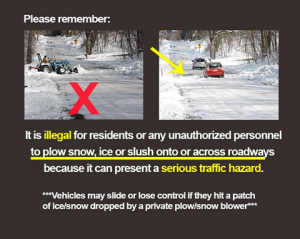 Did you know that if you’re shoveling or snow-blowing any snow into the roads you’re breaking the law? Officials in West Michigan want to remind everyone that if you’re doing this, you’re breaking the law. This can be an hazard to the public and to our plow drivers. Michigan Vehicle Code 257.677a prohibits depositing snow onto or across the roadway or shoulders.